Gold Mines Running Dry - Interesting Facts you should know about Gold! Gold Mines Running Dry – Interesting Facts you should know about Gold! 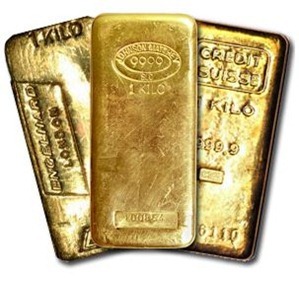 Recently I was reading about the exciting news of Gold prices going through the roof. Initially at Rs.16,000 then at Rs.17,000 and Rs.18,000 and now at Rs.19,000. All the news media made exciting presentation of world crisis, dollar relation, euro crisis, RBI buying gold and every thing they could find. But, an observation that I’ve made is everybody is forgetting the most important factor of all – THE SUPPLY SIDE. The over-all global demand for Gold has slumped by 25% in the first quarter of 2010 on the back of plunge in investment-led demand for Gold triggered by rising prices across the globe. None of the media folks are talking about the supply side problems and its effect on present rise in Gold. I was doing a little bit of exercise recently and came up with many interesting facts. Which country is the largest producer of Gold now? Your guess – South Africa? Wrong! It’s actually China. China mines gold to the extent of almost a tenth of the world’s supply. In the year 2008, China has surpassed South Africa to become the world’s largest Gold producer. Since 2007, South Africa’s production of Gold has been declining on account of depletion of gold reserves in the mines, even as the production in China increased. South Africa has now slipped to fourth position on the global production ranking. World’s major Gold producing countries (7 out of 8, except China) have seen decline in production of Gold. The days of finding Gold Nuggets each weighing a pound in California is over. All the major countries have seen the output from the ore drop – from double digit grams per ton to less than 3 grams per ton. Out of all the Gold mined till date, 50% was mined since 1980. 80% was mined since 1900. The production of Gold in China has risen by 70% over the last 10 years. From these figures you can see how we have accelerated the pace of Gold mining. As the metal is scarce by nature, with massive production, remaining mines are few and expensive to produce. Predictions are that after 2020, the world gold production will decline. Just like crude oil and other minerals, even Gold is not an exception and has a plateau in terms of production and then a decline. All the global nations have failed in identifying new mines. Production from existing mines is going down on two issues – Deeper and deeper mining and less and less metal per ton of ore. So, all the world countries have to manage with what ever is already available. Hence, the demand for Gold in future will be so massive, and the intelligent Governments (like China, India) are pooling as much Gold as possible as a part of their reserve portfolio. By 2014, China will overtake India as the largest user of Gold (as opposed to investment-led demand), with change in standard of living. Chinese people are increasingly buying Gold jewellery and that the Chinese exports of Gold could gradually come down, even as their production keeps going up. The consumer demand for Gold in India for the first quarter of this year was nearly 193 tons, pointing towards a strongest market for Gold jewellery and coins. Comparatively, the Chinese consumer demand for gold stands at 105 tons. Now again if you start thinking from the beginning, like Gold breaching 19,000, euro crisis, dollar equation, you will find all these reasons silly in front of the major factors like Supply side. Yet, macro-environment factors can have near-term sentimental impact even as longer duration dynamics will be dictated by demand-supply scenario. Will Gold prices surpass Rs.20000 in the near term? What’s your view? Hyundai To Stop Production In India – Thanks to Labour Strikes ! Yes, it is right that gold value will get rise to Rs.40000/10gms in 2020 but fact is that human basic need is food, clothing and shelter so price will rise of basic need product if gold rise from 20K to 40K in 10years basic needy product will rise from 20Rs. to 60Rs. Now the rice rate is Rs. 30/kg in 2011 and it will be Rs.100/Kg in 2020.
i am jewellery merchant at chennai , we have done a big mistake,we did not purchase gold for past 2 months and now the prices roars to 19000rs,any one suggest me what to do shall i wait for couple of days for price drop or not, iam in big loss . i cant face my fathers anger any more, i became sick. please any one suggest me in a right way like god G.KAILASH. Mr Kailash.G as par my view you can buy still gold as 19000 will be cross 25000 end of the year. what i study that in international market people are crezy about gold they are buying like anything. the loss faith from the market and now they are buying gold and silver still this is best time to buy. one day it will come 40,000/10gm (if will take 2020). There is a bubble in gold market too. The same “analyst”s were saying BSE to touch 50000 mark. It is the only commodity to evolve/emerge as a universally acceptable medium of exchange – even the USD was backed by gold till some point in the 70’s. Even on Indian currency the notes have a promise signed by the RBI governor that reads: “I promise to pay the bearer the sum of X rupees” – what do you think this means? In times of extreme financial stress it tends to do well. Recently, central banks (RBI is one example) have bought gold to park some of their reserves in. During the meltdown of 08-09 a lot of headlines were about how companies manufacturing gold coins and bars were facing unprecedented demand from investors. Thanks for the compliment. I am sure people will tolerate me just once if I explain the radical case. Firstly the matter in the whole universe is made of Protons, neutrons and electrons. These are basic building blocks. There are meesans, photons, neurons, morons (ha ha ha) etc also but they are not relavent to our Gold making. The element Iron contains 30 neutrons, 26 protons and 26 electrons, while Gold contain 118 neutrons, 79 protons and 79 electrons. All we have to do for converting Iron to Gold is take few atoms of iron, collect all neutrons, protons and electrons from the iron and arrange them into 118 neutrons and 79 protons to create its nucleus and launch 79 electrons into orbit. We have one Gold atom. Keep creating more. There are two possibilities to over come end of Gold mines. 2) Somebody should come up fast with a way to make gold from other metals. Chemical engineers will vouch for the fact that atomic structure can be changed theoritically. What I am saying is that we can convert iron to gold.